That’s all I have until my next 5K. And the only way I’m going to be even remotely ready for it is if I dig in, work through my fear and discomfort and do it. I got a really big boost on Saturday morning when I went out with my girlfriends to attempt a bridge run. Perhaps it was a bit ambitious, but what was the worst that could happen? I wouldn’t be able to do it? I’d have to walk? I’d have to give up entirely and head back to the car to wait? Not optimal, but hey. At least I was going to try. I was up before the sun, ready for a 5:50 AM departure. I was tired and hurting a little, but I got dressed and started sipping away at a cup of water. I also ate a Kind bar to have a little something in my stomach. We parked at the opposite end of the bridge this time. My friends are training for a full marathon (rockstars!) in February, so they had a bit of a longer run on the schedule. My plan was to make it up, over and back, and then walk up and down again while I waited for them to be done. The weather could not have been more perfect. Cool and cloudy with a little breeze. The humidity was high, but that’s pretty much a given in July. The breeze and cloud cover made it manageable, though. I turned on my RunKeeper and headed off. blurry bridge because I was moving so fast LOL! It was tough. I struggled to keep my breathing even and under control. I worked at taking slow, measured steps and really tried not to worry about my speed. The entire point was making it to the summit. And I did! In fact, I got in about 1.5 straight miles before I need to walk (on the return trip up). At that point, I figured I would just break up the rest of my session into intervals, so I would still be running, but giving myself a couple of breaks in between. I really didn’t have a major goal for the morning (other than to not collapse on the side of the road), so when I looked at my phone and saw that I was at about 2.6 miles at just over 35 minutes, I decided to bust it out to see if I could hit 3.1 before the timer got to the 40 mark. I dug deep, went for it, and hit the distance at 39 and change. This gives me something to work for in my upcoming 5K, which will be including either stairs or steep ramps as part of the course. I’m going to be able to do this in under 40 minutes (hopefully better, but 40 is the magic number), and it’s going to be fine. I settled into a brisk walk back up the bridge and then ran back down, before returning to the car and knocking out a plank on the curb before my friends returned. “Glistening” self-portraits aren’t the norm for me, but I was feeling so happy and relieved after I completed my session (3.45 miles total) I just couldn’t resist. Things are settling down a little this week with travel, so it will be easier to get back into a regular routine. If all goes as planned, I will get in three 5-10K workouts and a weekend bridge run in the next seven days. I’m also going to try to walk more at night like I was doing about a month ago. I think it will help me keep building on my fitness level and my miles. Finally, I’m seeing the light at the end of the tunnel and it’s a beautiful thing. I would also like to extend a special thanks to all of my readers who have offered so much support and encouragement over the past few weeks. It’s been wonderful to have so many amazing people around me, even if only virtually. This running community truly is amazing. How was your weekend? 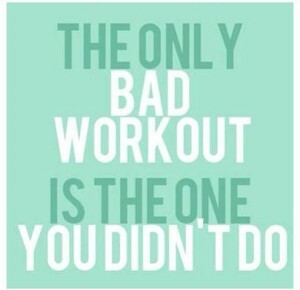 What are your fitness plans for the week? I hope so. The ramps don’t figure in until the late middle of the run, so my legs are going to be tired, but I’m going to do my best. What’s that they say? DLF>DNF>>DNS? I’m starting and I have my fingers crossed that I’ll finish. Yep, You look happy, and I know exactly why, you went out and ran and made it. Well done, considering all the downs you have been having lately it’s nice to have a change of pace and a positive one at that. You’re telling me. I was floating almost all day! You’re the rockstar! After going though what you just did? Are you kidding me? You did awesome! I’m looking forward to the evening walks again as well. I wish I could have done the 5.5 with you guys. Or at least, in the same vicinity as you guys. Soon. Very soon. We have got to get those walks back on the calendar. You rocked it. I’m impressed! The picture is great- you are SO happy and it totally shines through. WTG! 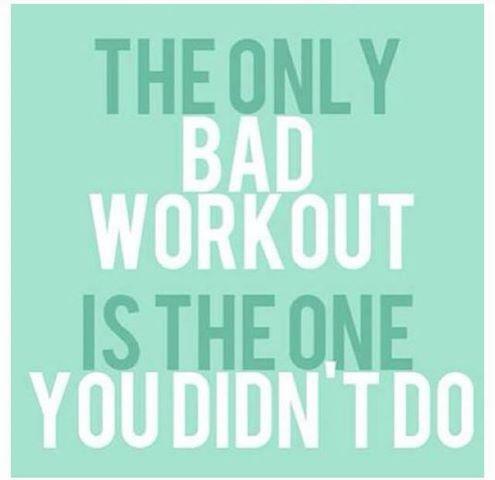 There is a great deal of sweat shining through, too! LOL! I’m doing my best! Love the selfie! You’re killing these bridge runs. I haaaaate running hills. I read a blogger recently – can’t remember who – who said she *liked* hill work. HOW????? Meg recently posted…Weekly Workout Recap! Thank you! I love them, too! I was so happy to have gotten it done. Great work. Bridges are the only hills we have in town so I need to start running ours to get ready for my race too. Yuck hills. My only other option is parking garage ramps LOL! Way to go!! :0) Congrats on an awesome bridge run. Best of luck in your upcoming 5K! Karen recently posted…Trains & Sunrises…& Closet Space! Thank you and thank you! I appreciate it! I just hope I can run most of it! Heck yes! I knew I would love this post just by your intro. “What’s the worst that could happen” If we all would just ask ourselves that before every run,, or everything in life we are hesitant to try, we’d all accomplish a lot more! Congrats on your performance, and good luck this weekend, you’re going to rock it! Oh, believe me. There are plenty of things where I chicken out way before go-time. However, I am so personally invested in this running thing. I feel like I just have to push through the discomfort and fear. I have to remember that the only one I’m competing against is me. My weekend was pretty good — a bit stressful, but still fun. You can do this! Think positive and keep your eyes focused on the prize… The finish line that seemed impossible three weeks ago is now within reach. I’m intrigued by your bridge runs. 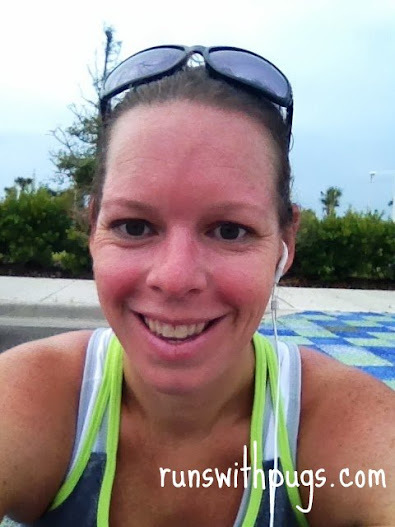 Do you run the bridges to incorporate hills in your workouts in flat Florida? That’s exactly why I do it. The areas where I train are flatter than flat. In our first race, there were hills (small but existing) and I know that my Stadium Challenge and the Tower of Terror 10 Miler will have pretty hefty inclines. The bridge is the closest I can get to a real hill, so off to the bridge I go. Great job on the run! 🙂 Love the bridge photo! It’s such a pretty bridge. I am compelled to take a photo or three every time I run it.